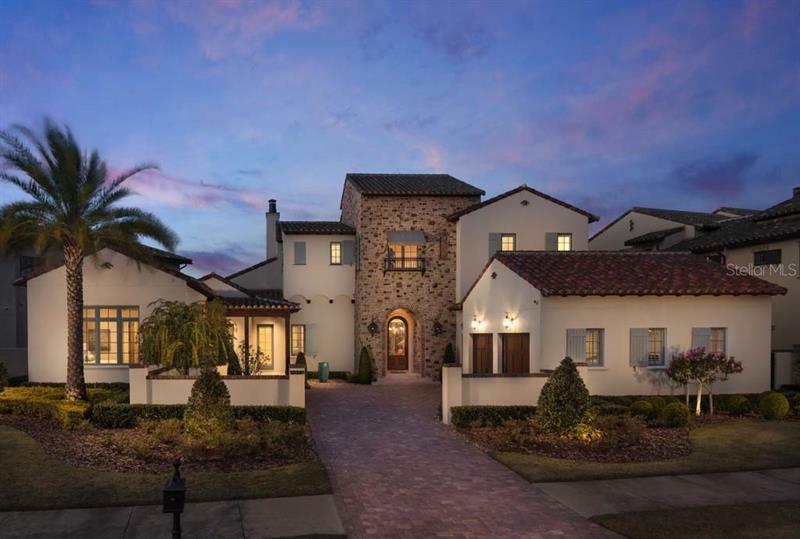 GOLDEN OAK AT WALT DISNEY WORLDÂ® RESORTâ Distinctive Tuscan architecture defines over 5000 sqft of this Marceline home. Located across the street from Charming Park Cavalli boasts an artfully designed pool & spa sprawling master suite private guest suite with exterior entrance upstairs multi-purpose media room elevator and 2 laundry rooms. CrestronÂ® control systems throughout the home creates an all-inclusive smart home making days and nights effortless. Outdoor Living & Summer Kitchen are perfect for enjoying sparkling water views from the backyard & the natural beauty Florida has to offer. Golden Oak at Walt Disney WorldÂ® Resort is a residential resort community where families can live in the embrace of luxury privacy and the magic of Disney. This gated community features distinctive neighborhoods of magnificent homes expansive natural preserves and inviting amenitiesâincluding access to Golden Oakâs private clubhouse Summerhouse with superb food offerings served in a casually elegant dining rooms pool area fitness facilities and family room. In addition residents have access to Club Life Your Special Connection to the Magic including access to the Golden Oak Member Services team park transportation signature club events theme park experiences Extra Magic Hours and much much more. Professionally Designed Furniture Package additional $250000.